As long as you have a valid email address, we will send you a welcome message with a link to a secure website, a username and PIN. You will be able to log on 24 hours a day and check the status of your case. As soon as we make updates to your file, it will be reflected on your access page. Legal Assistants: click here to access case information. 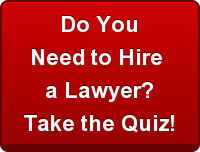 Paralegals and Co-counsel Attorneys: click here to modify case information.